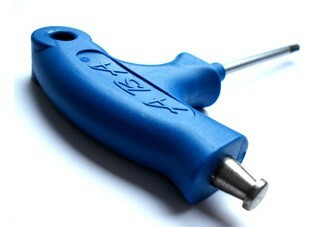 The ABA Torx is especially suitable for high-quality, professional axes with Torxprofil. The Torxform (a six-pointed star with rounded corners) has to attract a larger area of the blade the force when loosening the screws or can be distributed. In this way, a safe and careful installation is achieved. Maximum quality achieved by the Torx machined and burnished blade. Also the Torxwerkzeug characterized with the same advantages of 4mm ABA tool.